How do I place an order for a Tenant Referencing Service? First time users of the service must first register for a free account before an order can be placed. Once we receive your details we will immediately confirm your account number and password by email. With these details you can then choose to place an order online or to send us a completed application form. For further information please see How to Order. Can my tenants apply online? When ordering the Full Profile Service online you may choose between completing the full details of each tenant/guarantor online or sending them an electronic application form via email. When ordering a Credit Check you will need to enter the basic details of the applicant, including full name, date of birth and addresses to be searched. Can my tenants complete a paper application form? Please ensure that each application form clearly shows your account number. How do I pay for the services I order? When you place an order online via this website, you will be directed to our secure payment processor for payment by debit/credit card. When you place an order by fax or post, we will contact you on receipt of the application to obtain card details for payment. All major cards are accepted and we will provide a VAT invoice by email once the transaction has been processed. Can I track the progress of an order? Yes, once an order has been accepted for Full Profile Referencing your user account will display each application currently in progress and you will be able to see the current status, latest updates and expected completion date. Credit Checks will normally provide instant results so these applications do not appear in the application tracker. Can I purchase Rent Guarantee Insurance? 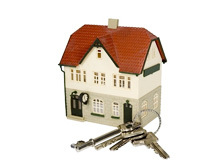 You are able to add Rent Guarantee to your Landlord Legal Expenses policy for only £25. Our Landlord Legal Expenses policy will cover the legal costs of pursuing a tenant for unpaid rent. However, we are able to extend this policy to provide you with "rent guarantee". In the event of a tenant defaulting on their payments, this extension will actually pay you the monthly rent whilst your solicitors are obtaining payment from the tenant. This means you will not be out of pocket during this difficult process*. For more information please see our Rent Guarantee page or contact us on 01603 218000. Do I need consent from my prospective tenants? In order to comply with the Data Protection Act the tenant will need to give their consent for us to check their details or carry out a credit search. When ordering a Credit Check you will be asked to declare that the applicant has given their consent. When ordering the Full Profile Service the applicant will give their consent directly to us, either by completing their application online or by signing the paper form. We aim to complete all Full Profile applications within two working days of receiving the completed application form. Response times can vary depending on the availability and cooperation of referees. The majority of Credit Checks will be available instantly providing sufficient details have been entered and we are able to match the addresses.